Founded in 2015 by a group of locals and migrants in Zurich, Capacity Zurich is a non-profit association that fosters and recognizes creative solutions of long-term refugees and migrant unemployed in Switzerland. In addition to offering tailored and bilingual entrepreneurship programs including training, coaching and mentoring, the association brings together partners to encourage multi-stakeholder and cross-sectoral cooperation between public authorities, academia, entrepreneurship, civil society, and the private and business sectors. “We firmly believe in the democratization of entrepreneurial education and the creation of economic opportunities for all. Therefore, we envision a society that is open to new entrepreneurial ideas, in which everyone can contribute their skills and potential, and which values diversity as a strength, regardless of gender, nationality, religion, race or socio-economic background”, says Valentina Velandia. To date, Capacity has implemented three 8-months programs, sponsored by partners from the public, private, academic and start-up sectors. More than 50 entrepreneurs have benefited from the programs, out id which 40 are still active. Moreover, some of the startup teams have participated in various programs. For instance, last year, two Capacity entrepreneurs traveled to Geneva to participate in the Global Entrepreneurship Week (GEW) at the United Nations Headquarters. Thanks to its sustained commitment, the association has also gained recognition from national and international institutions including the United Nations, Kahane Foundation, UBS, eBay, the Impact Hub, the Swiss Federal Institute for Adult Education, ETH, University of St. Gallen. It has also won awards from The Good Festival, the Swiss Diversity Award, among others. “As Capacity scales and based on the results of our past three years of evaluation, we are proposing a structural change to our flagship 8-month program, bringing it from 1 to 4 annual programs and expanding the number of participants by 3-fold from 23 to 60 participants”, says Velandia. To build on its success, Capacity is now launching two new entrepreneurship programs: the Launch program and Boost programs. Capacity Launch, running from March to June 2019, is an ideation program providing foundational entrepreneurship and prototyping skills for aspiring entrepreneurs. Capacity has secured sponsorships to fund up to 15 entrepreneurs in the program. The application decline closes on February 24, 2019. 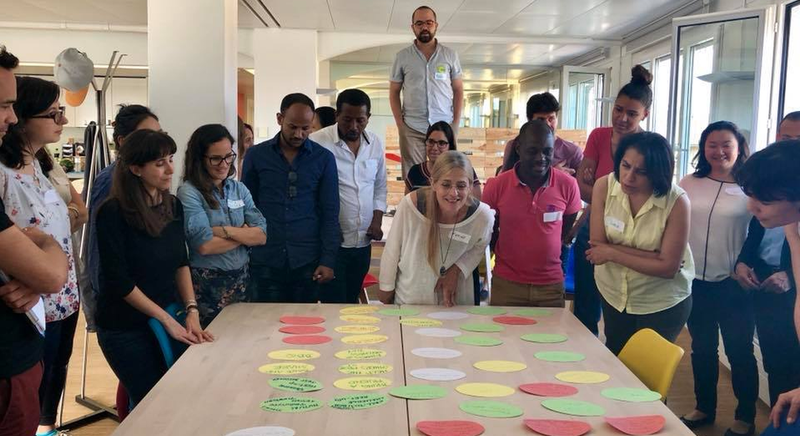 Capacity Boost, running from September to November, equips established entrepreneurs with advanced entrepreneurial and business development skills to prepare and support them to implement their market entry strategy in Switzerland. Up to 15 entrepreneurs can participate in the program. Capacity is organizing an information event to provide further insights about its program. The info session will take place on 7th of February from 18:00 to 20:30 at the Impact Hub Zurich Viadukt.